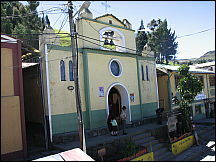 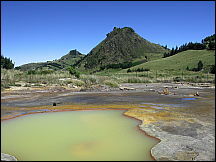 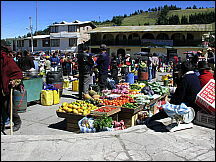 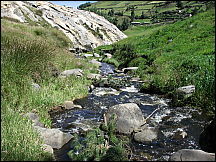 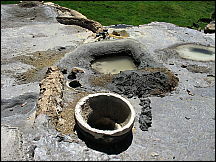 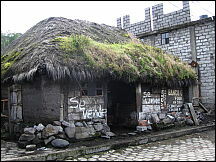 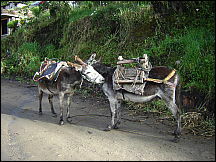 Salinas de Guaranda, or simply Salinas, is a town in the province of Bolivar, Ecuador. 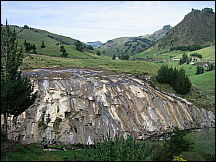 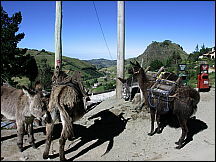 Famous for its brand of cheeses called Salinerito (considered the country's premium range) as well as wool spinning and dye mills, Salinas de Guaranda is just 90 minutes by car from Guaranda. 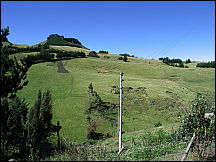 Mount Chimborazo rises above the area, reaching some 20,000 feet (6,100m), and due to the equatorial bulge, is the furthest point from the center of the Earth. 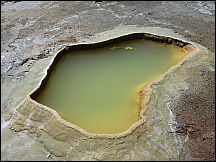 The area is surrounded by interesting salt formations left over from salt mining, in addition, it is also home to a major sweets industry and has beautiful walks and fishing areas along with horse riding facilities. 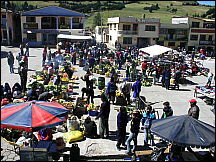 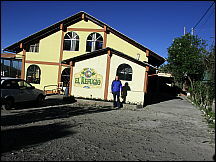 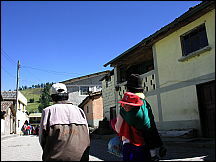 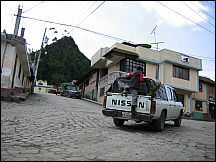 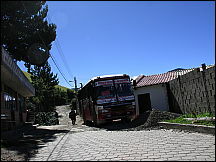 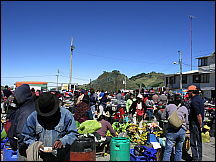 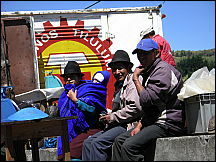 The entry cost into Salinas is US$2.00 and US$5.00 for the various community cooperative based projects accompanied with guides. 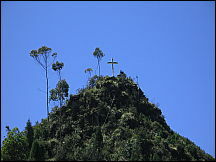 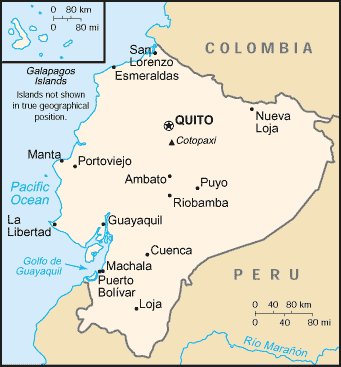 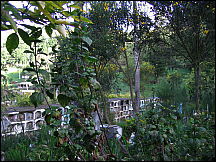 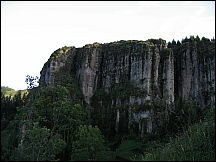 The province of Bolivar is around 70% Subtropical covered by western cloud forest while the lower section is more agricultural producing citrus and sugar cane. 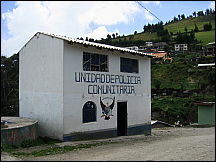 Father Antonio Polo initiated the FUNORSAL Foundation (Fundacion de Organizaciones de Salinas) to set up and manage cooperatives to transform raw materials to finished goods. 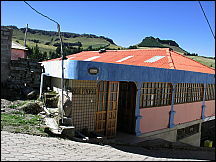 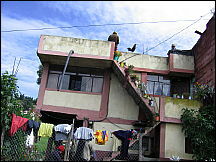 See the Headquarters building (SEDE FUNORSAL) among the pictures below. 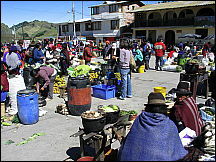 For example, cocoa to chocolat candy, wool to yarn and textiles, meat to sausage, mushrooms to soups and packages, and milk into fancy and natural cheeses. 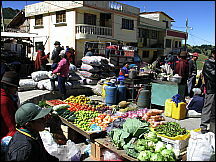 To do this, workers are selected and trained (often in foreign countries), machinery is procured (often previously used), and extensive marketing is conducted. 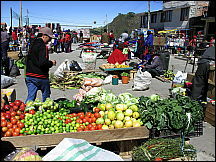 Much of the production is sold in Europe and North America and the basic producers get to share in the wealth created from their work. 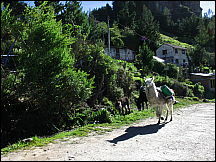 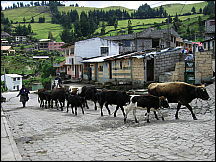 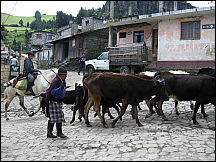 Man and his animals heading into Salinas de Guaranda, Ecuador at sunrise. 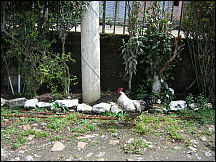 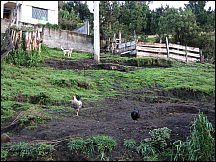 Rooster, hen and dog at Salinas de Guaranda, Ecuador at sunrise. 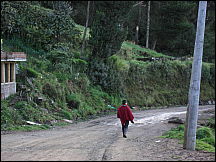 Man heading into Salinas de Guaranda, Ecuador at sunrise. 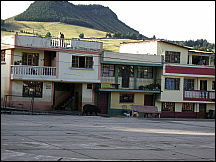 Loose pig exploring the main plaza of Salinas de Guaranda, Ecuador at sunrise. 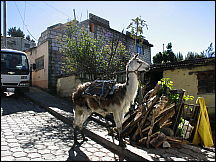 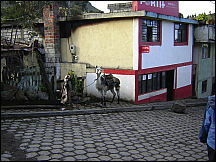 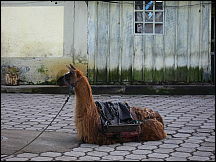 Llama taking a rest in Salinas de Guaranda, Ecuador at sunrise. 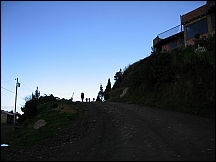 Luxurient hills and farm fields of Salinas de Guaranda, Ecuador at sunrise. 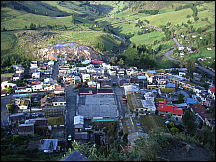 Luxurient hills and farm fields surround Salinas de Guaranda, Ecuador at sunrise. 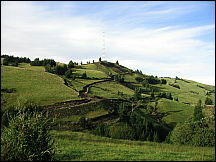 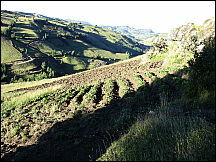 Luxurient hills and farm fields and potato bed of Salinas de Guaranda, Ecuador at sunrise.